I’m in a dough kind of mood. I’ve been craving carbs lately and have also been eager to try and make all sorts of doughs from scratch. A few nights ago, I saw some contestants on Masterchef Australia cook some bao and a lightbulb went off in my head. I had never thought of making bao, and haven’t actually been able to enjoy them very much. If you’ve never heard of bao before, they are basically steamed buns filled with some sort of filling, found all over China. 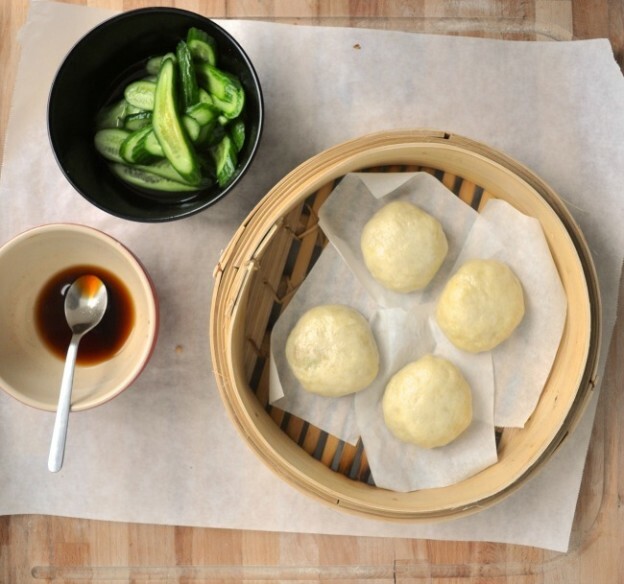 There is a wide variety of bao: ranging from 5-10 inches in diameter, filled with various meat, bean paste and even soup broth (if you’re in Vancouver, the xiaolongbao at Lin’s are award-winning)! This entry was posted in Asian, Bread, Main, Vegan and tagged Asian, asian bao, asian bao recipe, asian buns, asian buns recipe, bao, bun, chinese, dough, dumpling, food, Healthy, Mushroom, recipe, steamed, Tofu, vegetarian, vegetarian asian buns, vegetarian asian buns recipe, vegetarian bao, vegetarian bao recipe, vegetarian buns recipe on June 9, 2014 by mysecondbreakfast.